Ryanair has been ordered to compensate passengers over the 2010 volcano eruption in Iceland, which left millions stranded because it was too dangerous for planes to fly through the ash clouds. The European Court of Justice said airlines were obliged to provide care if flights were cancelled due to "extraordinary circumstances", covering the cost of food, hotel accommodation and transport between the airport and hotel. The ruling comes after Irish customer Denise McDonagh, who was stranded in Faro, Portugal, during the Eyjafjallajokull eruption, claimed costs from the airline. Left waiting for a flight to Dublin for a week because of the ash cloud, she was not provided with any care and demanded compensation of almost 1,130 euro (£970) to cover meals, refreshments, accommodation and transport. Events such as this show the importance of taking out travel insurance. The court recognised that its ruling could leave the door open for a raft of claims, but said a high level of protection must be given to passengers. 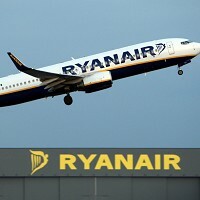 Ryanair said it has already paid out 26.1 million euro (£22 million) to stranded passengers but has refused many claims on the grounds that they were too excessive.